Hi world! Sparkly News for you today! This morning I came across this amazing "What's inside you" FW11-12 collection designed by the gorgeous Eleonora Carisi of Jou Jou Villeroy. Actually not only I'm really impressed by this collection but also by the name of the brand! Yes, because fashion for me is a way of expressing what's inside us without talking, so isn't it a perfect name for such a nice brand? This is a feminime, romantic but still sensual collection for women who know what they want and women that are brave enough to show who they are and what's inside them! It's all made in Italy of course, so high quality and unique pieces! Personally I fell in love with that burgundy lace dress, I would wear it for Christmas Eve Night! And what about that romantic blue maxi dress? ( the last one ) I would surely wear it with my new grey faux fur jacket! But stop daydreaming about how I would style every single piece of this collection! Now it's time to show you what I'm writing about! Buonasera mondo! Sparkly news per voi! Questa mattina mi sono imbattuta in questa fantastica collezione Autunno Inverno 2011-12 di "What's inside you" disegnata dalla fantastica Eleonora Carisi di Jou Jou Villeroy. A dir la verità non sono rimasta estasiata solo della collezione ma anche dal nome del brand! 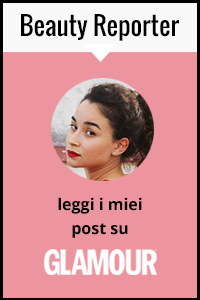 Si, perchè per me la moda è un modo di esprimere ciò che si ha dentro senza però parlare, quindi può non essere un nome perfetto per questo brand? E' una collezione femminile, romantica ma nello stesso tempo sensuale, per donne che sanno cosa vogliono e sono fiere e coraggiose di mostrare chi sono e esprimere ciò che hanno dentro! E' tutto made in Italy ovviamente, quindi alta qualità e pezzi unici! Personalmente mi sono innamorata di quel vestitino in pizzo color borgogna che indosserei per la notte della vigilia di Natale. E cosa ne pensate invece di quel romantico abito blu lungo? ( l'ultimo ) Lo indosserei sicuramente con la mia nuova giacca grigia di finta pelliccia. Ma basta fantasticare su come abbinerei ogni singolo pezzo della collezione, è tempo di mostrarvi di cosa sto parlando! If you want to buy something from this collection, you can simply but it online on Thisisamaze. Easy peasy! Se vi interessa qualcosa di questa collezione, potete semplicemente comprarla online su Thisisamaze. Facilissimo! this looks and sounds really cool! im going to check it out! great post :) i like to hear of new things. I also loved the collection, nice finding! It's very romantic and elegant. Beautiful collection. These pieces are so lovely. It's very classy and stylish. love your blog! if you get a moment, check out my first giveaway. @nikki thanks! Now I'll check out your giveaway! @dimitri thanks! I love this collection too! check out my over $100+ estee lauder product giveaway. you have a 1/15th chance of winning now! hello beautiful greetings from Spain, I loved your blog is original, so I'll fan you. kisses. Great looks!!! Love jeffrey campbell!!! interesting color blocking on these peices!